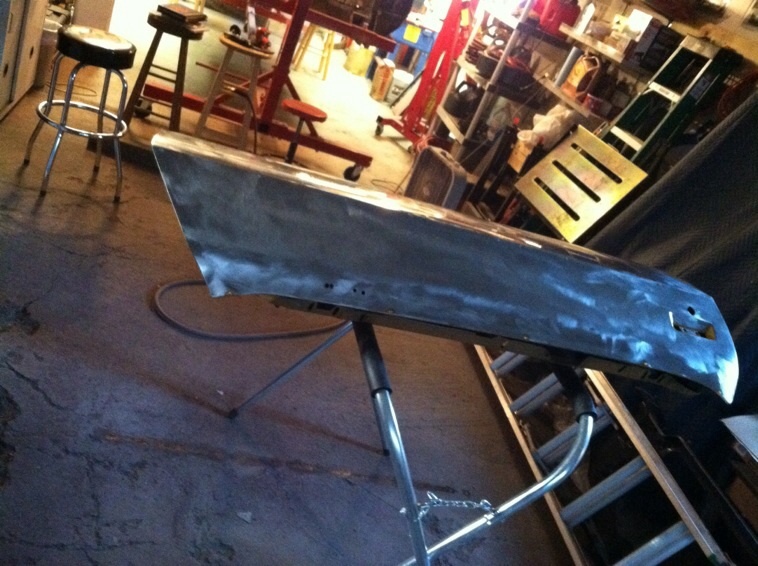 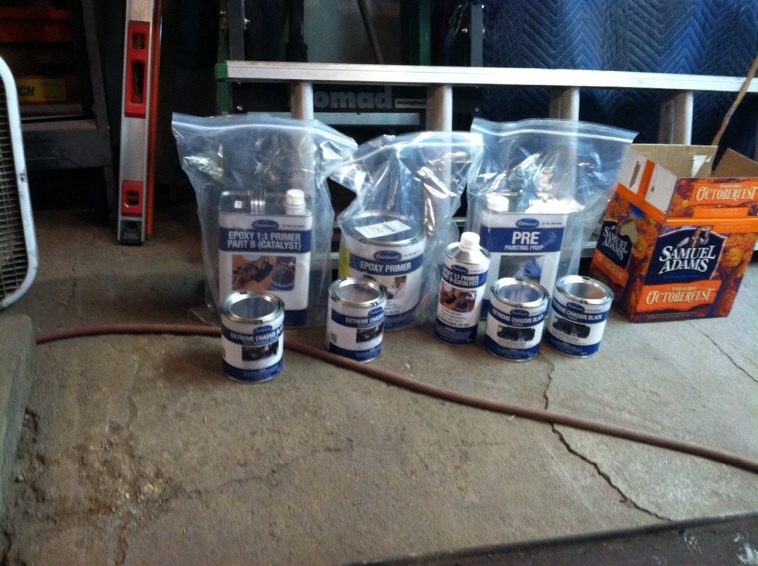 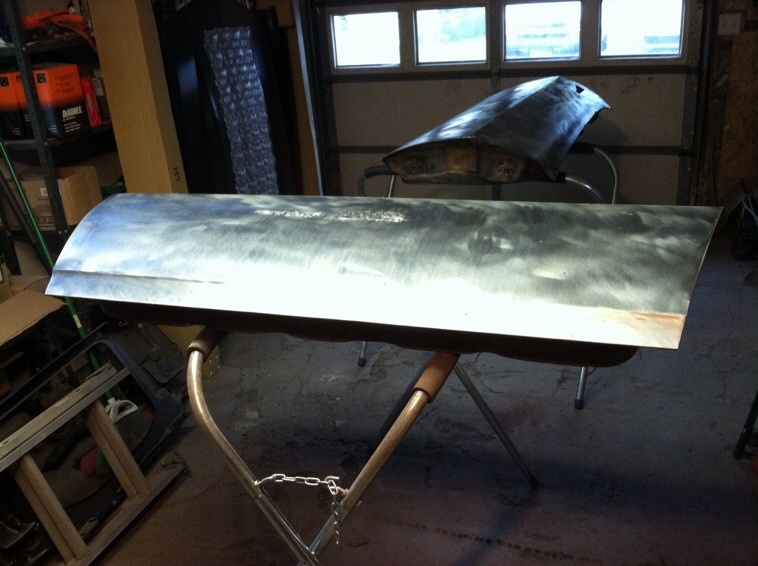 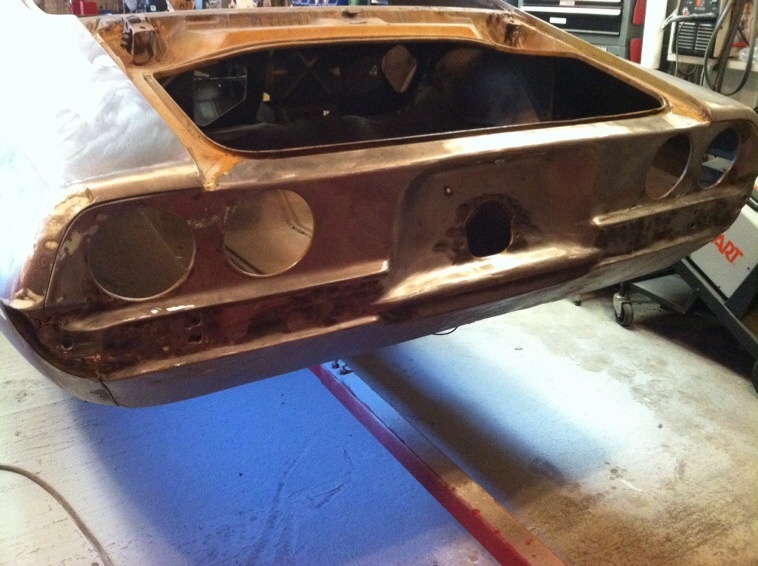 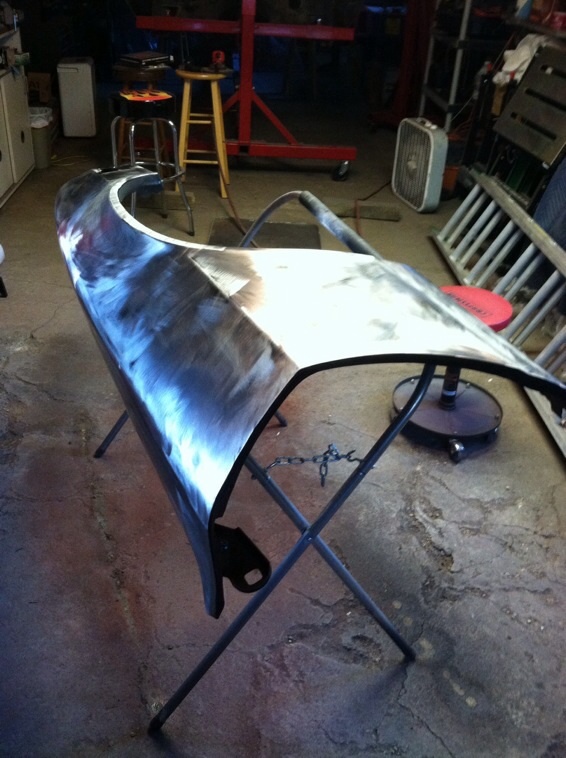 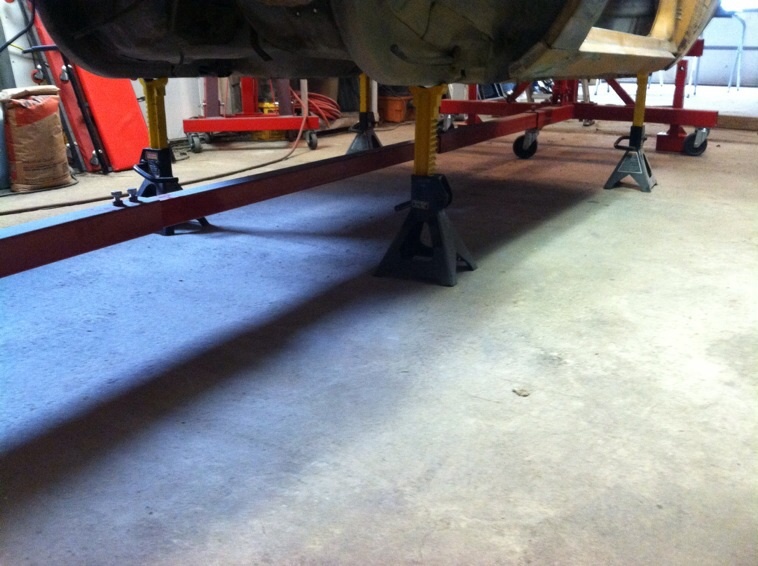 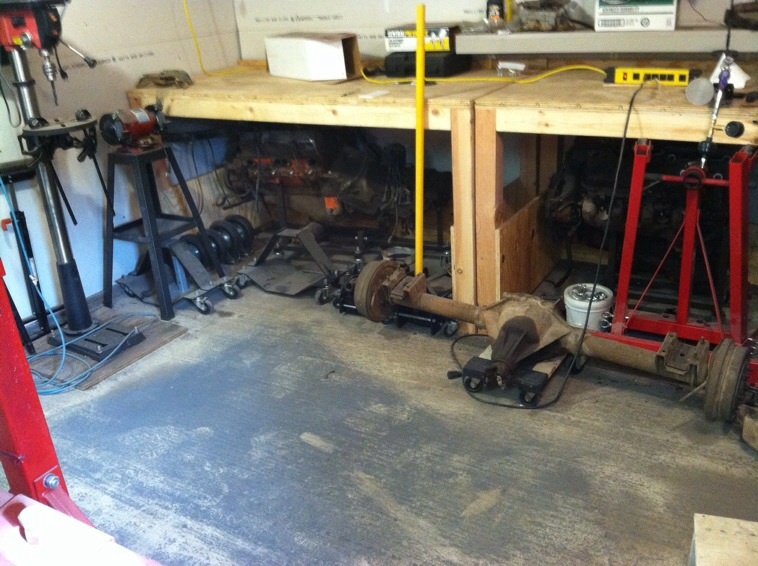 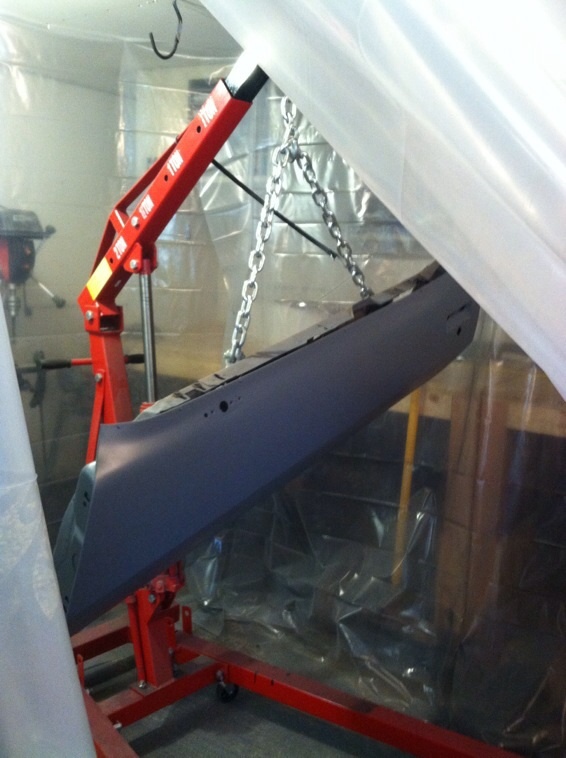 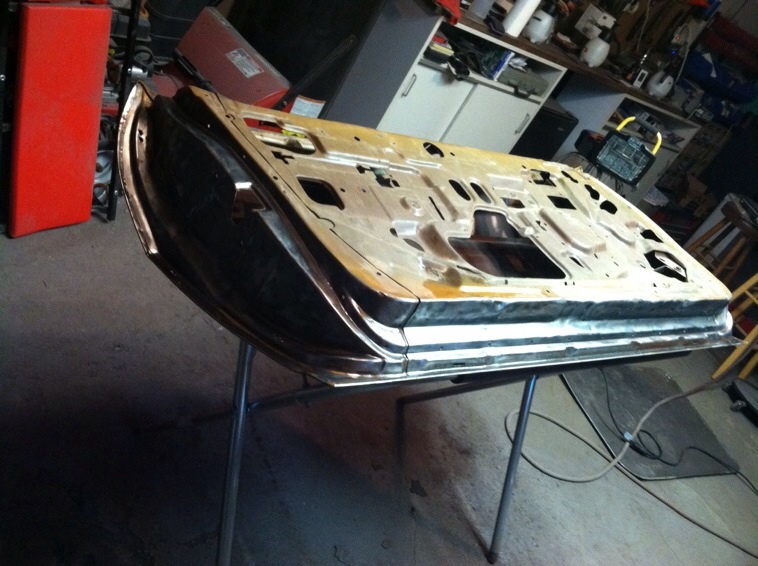 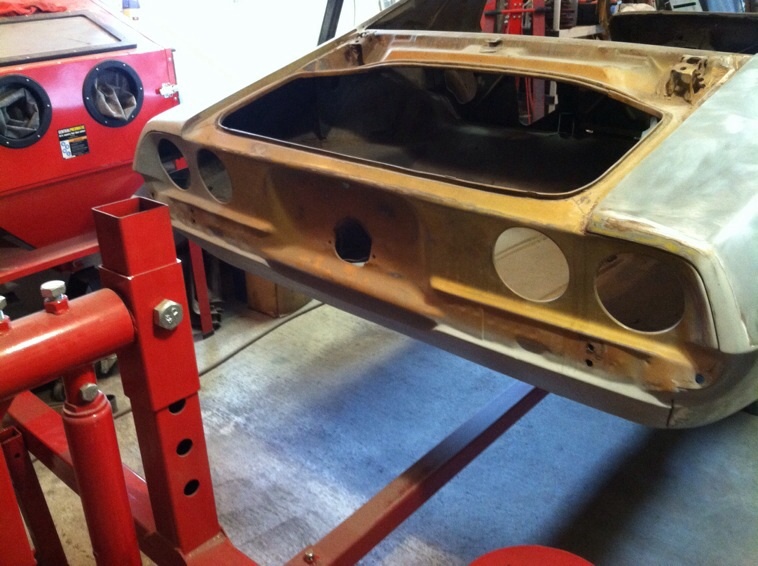 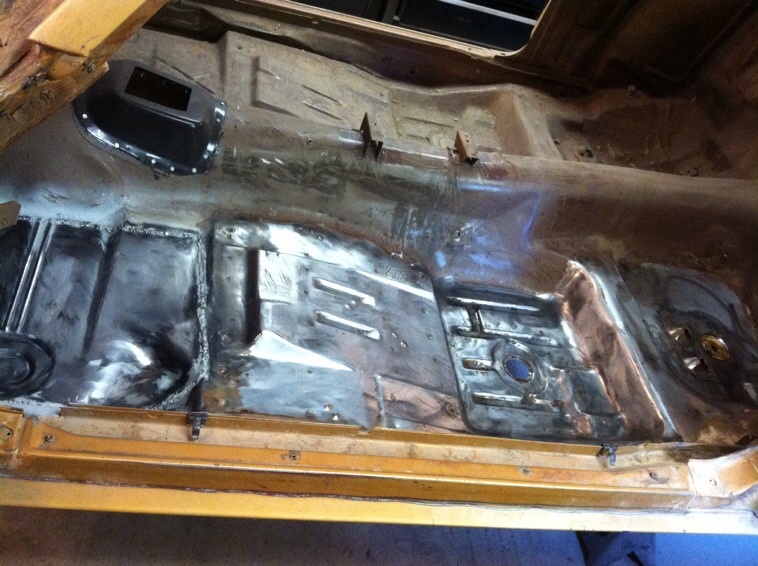 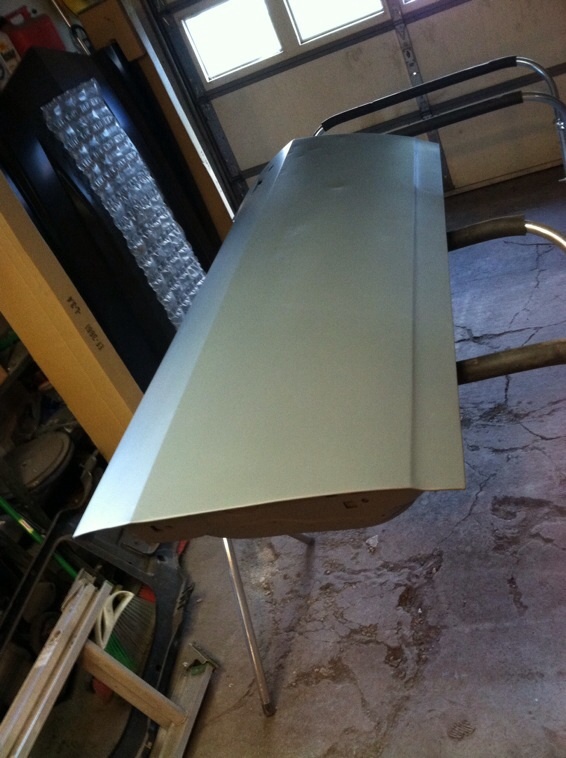 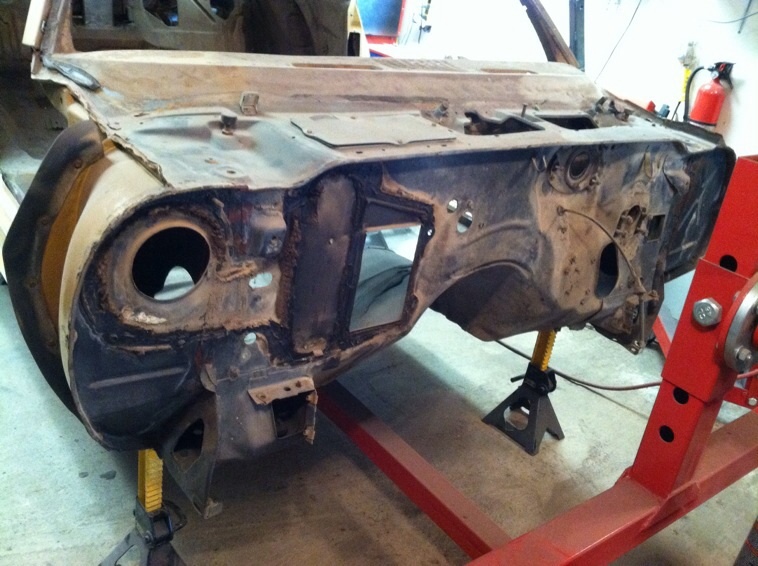 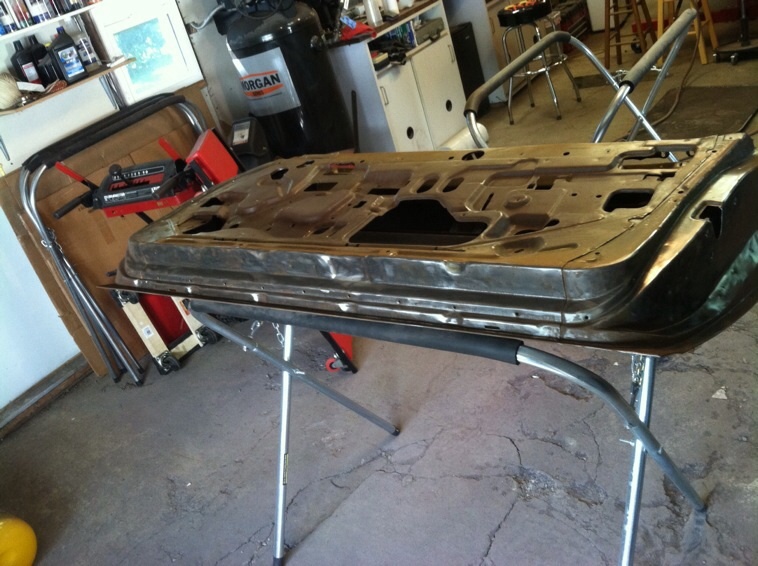 Got the drivers side floor pan sanded & ready for priming… Nice & rust-free! 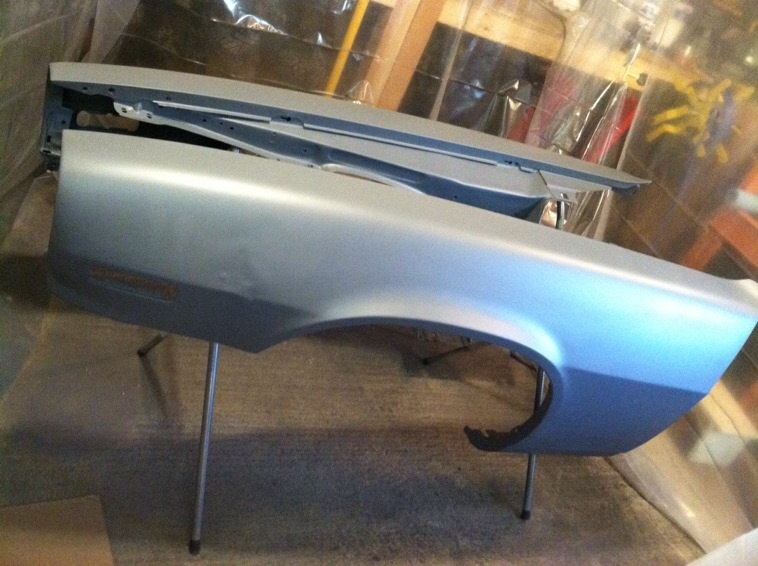 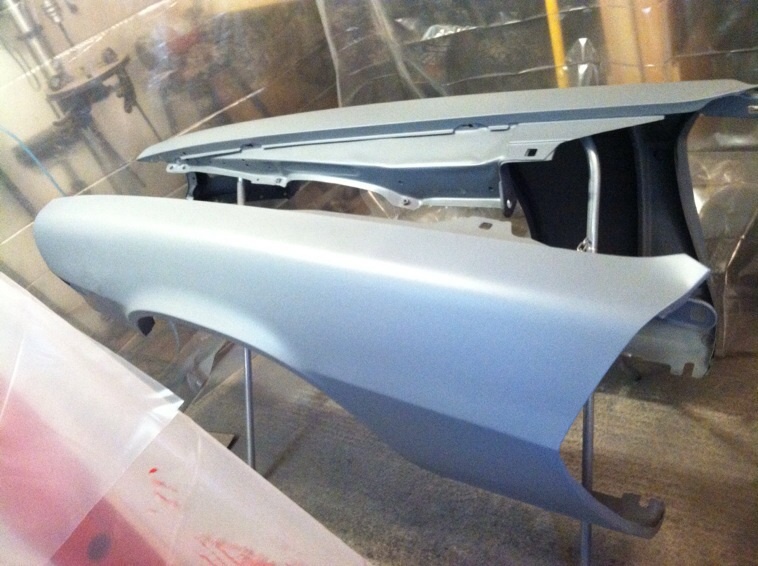 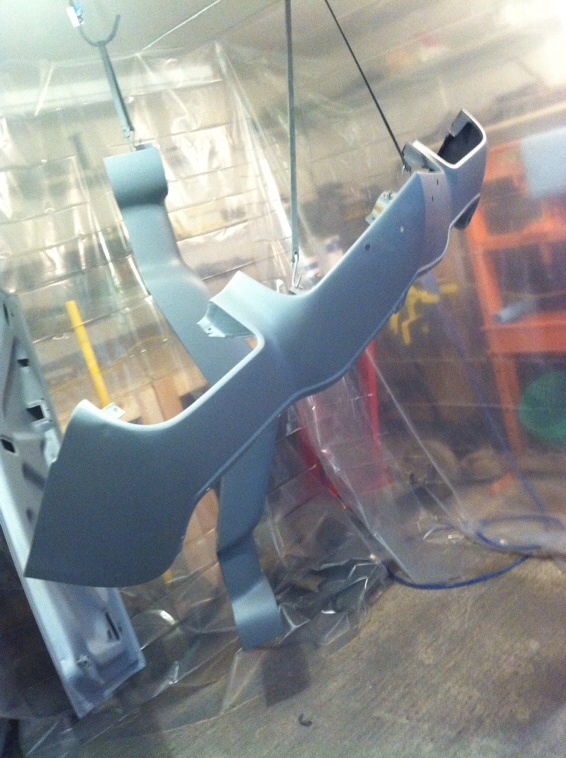 Three coats of primer on the fenders… Will still need to do body work, but trying to get as much primed before it gets too cold. 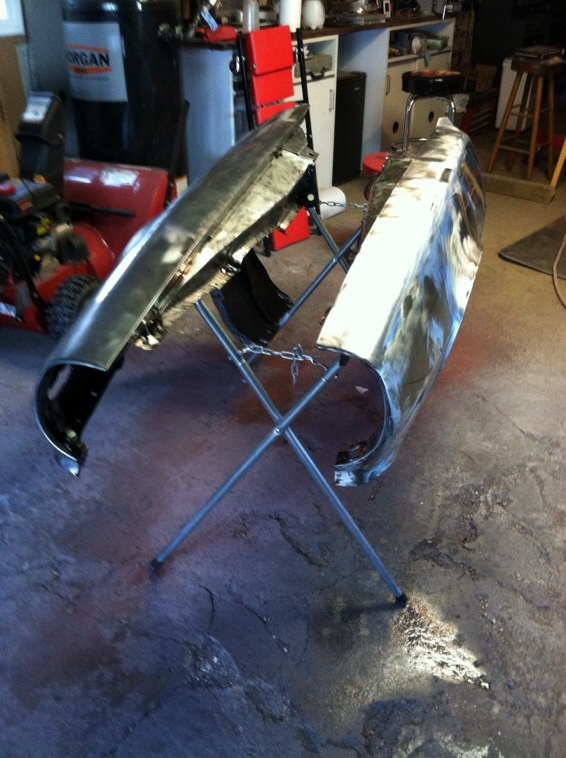 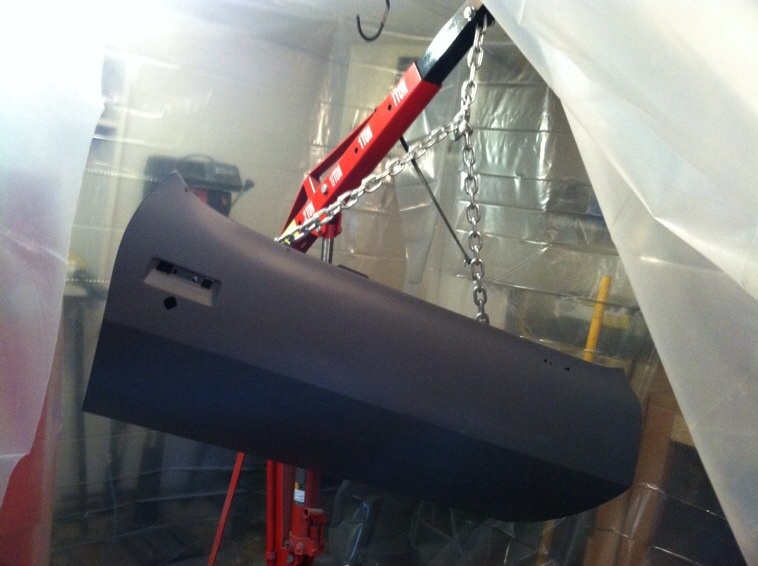 Got the other fender sanded tonight… This was the new one from AMD – the black EDP coating was much easier to remove.